Precision Windows of Virginia Beach is a family owned and locally operated window company serving all of Hampton Roads, VA. We are proud to share the same values and quality workmanship as our sister company, Precision Door Service of Virginia Beach, VA. Our window company offers a variety of window styles and types, as well as technicians trained in window repair, window replacement and new window installation. 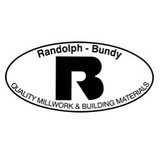 Since 1922, Randolph-Bundy, Inc. has served the mid-Atlantic region from its Portsmouth, Virginia location. 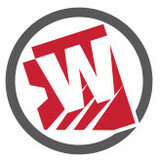 The company is a wholesale distributor of millwork, window and door products, and related building materials. Randolph-Bundy's mission is to provide quality products and services that exceed the customer's requirements while building long-term partnerships by strengthening personal relationships. Our objective is to be the first choice of supply for all the products we market. 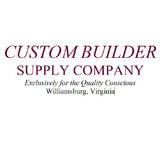 We are an independent supply company specializing in service to upscale builders, re-modelers and homeowners in the Williamsburg area. Established in 1988, we are owned by a group of local investors including several employees and customers. A major portion of our profit is returned to the further growth and development of the company and to the welfare of our thirty-plus employees. We invest heavily in our community by donating substantial time, materials and money to assist many worthwhile charities. 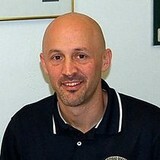 School programs and children’s sports also receive generous support. We separate ourselves from the other suppliers by making high quality and first-rate customer service our priority. Our sales staff “grew-up” in the area supply business and has many years experience. To visit our showroom please call (757) 229-5150 Mon.- Fri. 7:00am-4:00pm to schedule an appointment with the appropriate representative. Our Millwork Shop has extensive custom millwork capabilities and can mill any pattern of molding or build any custom feature from most species of wood. We also manufacture high quality interior prehung doors any size or style. Call 757-253-8474 Finally, we operate our business with the highest degree of honesty and integrity and will work very hard to insure your satisfaction. Please consider us when selecting your supplier. Apple Door was founded in 1973 by Hubert Apple, Jr. Originally, the firm began operating as an overhead door service company in Richmond, Virginia. In 1978, Hubert's son, Dan Apple, joined the firm and began expanding the company's focus to include sales and distribution of new doors and related products. In 2012, the Apple family sold the final location making all stores independently owned and operated. While the company has undergone many changes over the years, the company's commitment to providing the best door repair service in Virginia has not. Our solid wood products are built one at a time by experienced craftsman using the finest woods available. We can provide you with White Oak, African Mahogany, Sapele, and Classic Black Walnut or any number of other species used for entryways and interior doors, Hand crafted in Virginia, to your specifications. Longevity is a word that is rarely used these days but we feel it is important. It's in the quality and craftsmanship we put in our doors. It's how we think about our lives and the environment and it's why we use renewable Forest Stewardship practices. "Do you need a trustworthy and affordable locksmith in Norfolk, North Carolina? If so, you have come to the right place! We have a crew of Norfolk locksmiths who have been trained by the most reputable experts to be able to provide all of the security and lock solutions that you could ever need. Star Norfolk Locksmith is proud to service and use all major security brands, such as Kaba, Ilco, Falcon, Arrow, ASSA, Yale and Medeco. As the absolute best Norfolk locksmith that you could ever possibly find, we offer all of the options and solutions that you could possibly need in one place for your residential, commercial and automotive needs. We have you covered if you need key extraction, break in repairs, free consultations, free price quotes, home lockout help, lock changes, home safes, gun safes or anything else. If you are currently locked out and need to get back into your home or car fast, just call Star Norfolk Locksmith. Thanks to our prompt service, you can be confident that a trained, licensed and insured expert will get to you quickly. We offer this sort of convenience at a price that you can afford, too. Do you have questions regarding our rates or services? Just call us. We would be more than happy to provide you with all of the security answers that you need here at Star Norfolk Locksmith. Norfolk, NC locals are encourage to call us at their convenience. Thanks for learning more about us." "At that split second that you realize you have just locked yourself out, it’s not only embarrassing, it’s exasperating as well. Your day is disrupted, and you don’t have time to waste. But don’t worry, because Virginia Beach Locksmith is here to help you. All you have to do is pick up the phone. Call us at (757) 255-6032 ~ and we will be there to get you out of your predicament. We unlock doors, sure, but truly we can handle any of your lock and key needs: For example, we remove broken and stuck keys, do re-keying, install bump-proof locks, secure safes, repair keyless entries, and even install a video surveillance system. Whatever you need in keys and locks and security, just ask! Our professional locksmiths will know what to do best to meet your particular needs." We offer a huge variety of windows for your home, from classics like double-hung and casement windows, to more modern options like sliding and specialty windows. Our windows come in an array of styles and finishes, with lots of options for shape, color, stain, hardware, and grille pattern. Since your windows will be made to order, they can be customized to your heart’s content and will be custom-fit for your home. Our replacement windows are built using Fibrex®, an Andersen-exclusive composite material that combines the strength and look of wood with the low-maintenance features of vinyl. This means our windows are great looking, energy efficient, and built to be stronger and last longer than other windows on the market. It’s everything you’re looking for in a replacement window for your home. The doors and windows we install in your home are warranted not to flake, rust, blister, peel, crack, pit or corrode. They’re designed to be easy to clean, last a very long time, and require very little maintenance. Years down the road, your doors and windows should work just as well as they do on the day of installation. If there’s ever a problem, Mr. Rogers Lifetime Performance Guarantee covers everything for as long as you own your home. Parts, supplies, labor, time and clean up are all included. There are no hidden fees and no surprise charges. This means your replacement doors and windows require virtually no maintenance and will be worry free for life! What kind of services do Virginia Beach door dealers provide? Door dealers are responsible for a variety of services, including door installation, replacement, door repair and custom door design. If you need a new door, Virginia Beach, VA door dealers will help you determine what kind you need, as well as shape, color, size and more. From barn doors to French doors to front doors, these professionals can help you choose, install and maintain your door investments. Wood doors are beautiful, versatile and tend to be the most popular choice for both interior and exterior doors; they are easy to custom build, and include oak, cherry, walnut, mahogany, maple, fir and pine. Some standard wood doors have MDF cores wrapped in wood veneers, which minimizes the chances of warping as real wood expands when wet and contracts when dry. If your heart is set on a wood door but you think the Virginia Beach, VA climate might cause it to warp, talk to your door professional about a furniture-grade veneered door. Aluminum doors have an insulated core and come in a variety of colors and finishes. With a baked-on enamel finish, they won’t rust or need repainting, and many come with a 20-year warranty. Next to wood they are the most expensive and have to be custom-made. A Virginia Beach, VA door dealer can help you find a reputable aluminum door manufacturer. Find door dealers and installers in Virginia Beach, VA on Houzz. Look in the Professionals section of our website and search for Virginia Beach, VA door dealers and installers. Read reviews, look at project photos and see how a pro can help with your home improvement project.